This month, the regulatory body Ofcom published their annual study of home broadband internet service provider’s speeds across the United Kingdom. This study has revealed that the average download speed has risen from 36.2Mbps last year to 42.6Mbps this year and download speeds rose 1.9Mbps, from 4.3Mbps to 6.2Mbps. Across Leicester and Leicestershire the average speed to date that Superfast Leicestershire is delivery is 61Mbps, well above the superfast broadband definition of 24Mbps. This will increase as we move increasingly into the ultrafast phase of the programme, with plans to deploy FTTP to many of the most rural areas of the county. Ibstock, Wigston and Market Harborough have seen the best speed increases through the programme. Superfast broadband can make a world of difference to your personal and business life. From helping to improve the small things like loading your favourite websites quicker, uploading images from your phone to your computer, loading videos quicker, reliable online shopping, ensuring you can always video call your loved ones, and allowing everyone to keep browsing at the same time. To the bigger things like being able to up upgrade your TV with netflix, amazon prime or spotify, never having to wait for your online games to buffer, or investing in the latest of smart home technology with lights and heating you can control on the go. 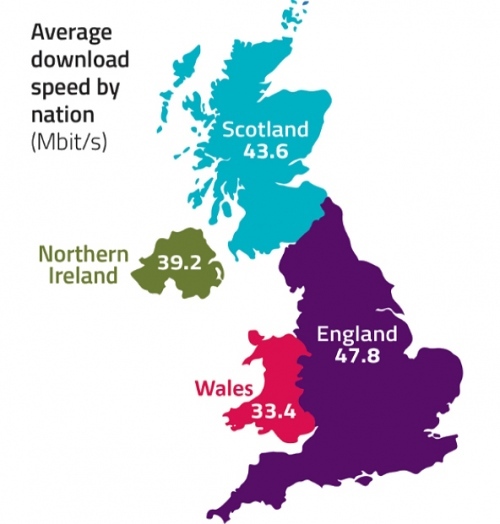 The benefits and opportunities that come with superfast broadband are endless.